A perspective from Cosmos on global warming and the ethics of science—and the origin of clean rooms and lead-free gasoline. This week’s episode of the new Cosmos was particularly interesting because Neil Degrasse Tyson filled in a part of the recent history of semiconductors and made a great point about ethics in science. I had just moved to the United States when Carl Sagan’s Cosmos first aired, and at the time I thought he connected all sorts of interesting dots. The new edition is even better. In this week’s episode, “Cosmos – The Clean Room,” Tyson told the story of Clair Patterson’ s lifelong chase after trace lead contamination. He got started measuring trace lead so as to estimate the age of the earth by measuring the products of radioactive decay in meteorite debris. This turned out to be much more difficult than he expected because of pervasive trace lead contamination. To create an environment with low enough lead, Patterson developed precision trace metrology, clean rooms, bunny suits, cleaning protocols; all the techniques that we live with every day and underpin modern chip manufacturing. After 5 years, he ended up with an estimated for the age of the earth of 4.55B years, which is still the definitive number. Answering an intriguing problem in fundamental science ended up developing commercial valuable expertise in our business. Patterson’s expertise in eliminating trace lead allowed him to understand the sources of trace lead, and the early controversies about a clean environment. He recognized that lead from tetraethyl lead in gasoline was a major source of lead contamination and that it was highly toxic. After all, it was shipped in barrels marked “poison.” He participated in hearings about lead-free gasoline where he was opposed by experts from the chemical industry, who made all the “it’s unproven” arguments to deny that there was a problem. It took 20 years, but eventually lead-free gas became the standard and lead in the environment and our children has dropped. This story has replayed with tobacco, head trauma, DDT, and the ozone hole, and is being played out today in climate change. As Tyson said, “nature wins out eventually.” It’s easy to blame craven ethics for the denials, and after 20 years it’s completely appropriate, but in the early stages it is less clear. Last year I heard a presentation by Prof. Alan Townsend from the University of Colorado at Boulder. His elevator pitch was as follows: We are on the third rock from the sun. Based on the intensity of the sun’s radiation, if there were no carbon dioxide in our atmosphere, the earth would be 30 degrees C cooler, so carbon dioxide is a proven greenhouse gas. It is a scientific certainty that having increased carbon dioxide levels by 30%, we will warm up the earth’s climate. Clearly, there is a legitimate debate about how quickly it might happen. Hence, all the complicated simulations with ranges of results. But there is no legitimate debate about the fact that it will happen. Ironically, if it happens slowly it is bad news, too, because that would mean it will take a long time after we reduce carbon emissions for the climate to cool. My take from the elevator pitch is that both sides are messing up the climate change debate. Those in denial are willfully ignoring the simple scientific facts, and the realists are over-complicating the message. My takeaway from the whole discussion of denials is that it’s not enough to blame ethics and just watch the source of funding. The “unproven” argument is a legitimate response to early results that flag a possible problem. We need to be more “conservative,” with a small “c”, when responding to early data on the impact of new developments. There is always “first do no harm.” There is also an assessment of the consequences of accepting the denials and then finding out that they are wrong, versus the costs of taking early action that might prove unnecessary. This is a version of the classic alpha and beta errors in a statistical significance test. 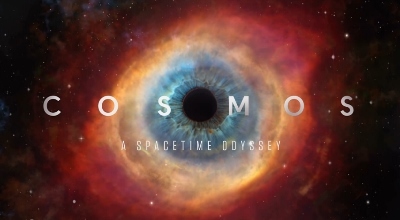 Finally, Tyson is doing a terrific job as presenter of Cosmos—even better than Carl Sagan. There is also a great video clip of Tyson talking about how he was discouraged from becoming an astrophysicist when growing up. His point was equal encouragement is as important as equal opportunity if we want to increase everyone’s participation in science. A very interesting fellow!